“I mean, like, do they learn to play the guitar? First of all, I think “teacher” might be the wrong job title for me. I use “instructor” on my business cards, only because “facilitator” seems too stuffy. I really should coin my own title. 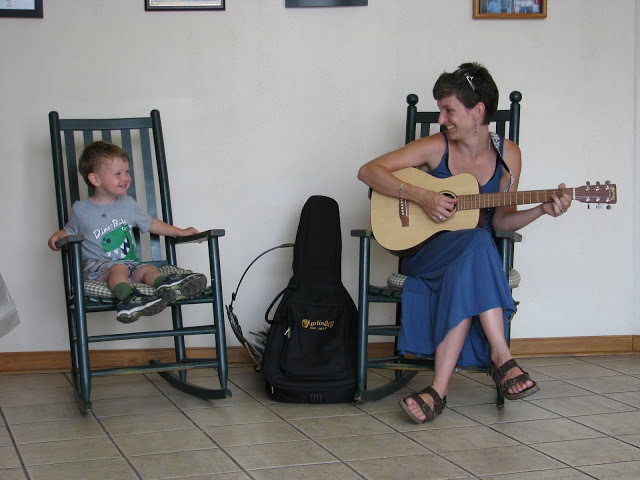 I’m only the gal in charge because I’m the one with the guitar… except on the days the kids decide that they, in fact, are the ones in charge. So, for that title, I choose “tapper.” Because, really, I’m just tapping into something that’s already there: the ability to find joy in music. Using our bodies to create rhythm, and pattern, and to self-soothe. No matter which genre of music appeals to you, I believe you are fulfilling a particular need that you have. For example: Classical? You might need complexity and mental stimulation. Electronic? You might need some repetition and predictability. Blues or Soul? Empathy and understanding. Metal? A way to release pent-up energy or aggression. I could go on, and hypothesize about the needs being met by any musical preference, but the bottom line is the same: we counterbalance our individual angst with our musical selections in the pursuit of a neutral. Within the neutral, we find the space for joy. Anything goes during Ms. Kat’s Music time — as long as the kids are not endangering the safety of one another (slam-dancing not allowed! ), or being so disruptive that their classmates can’t hear my voice (sometimes more of a “melodic yelling” than “singing” to cut through the din). I come in with a theme-based lesson plan and a willingness to throw it out the window whenever we find an enthusiastic new direction to explore. Whatever gets them moving, and smiling, and excited, and even occasionally (gasp!) really singing, is the day’s curriculum. It could be wild and chaotic, or we might lay on the floor and snooze to a lullaby. We might act out a story, or laugh at all the silly and ridiculous things that we can come up with to sing about. We might fall back to the familiar comfort of Twinkle, Twinkle Little Star. Whatever it takes to find our collective neutral for the day. Do they learn to play the guitar? And do you give private lessons? No, but they might want to learn to play the guitar – or something else – when their little fingers get bigger. For now, let them learn to play their hearts and voices, and their stomping feet and clapping hands — and ears! Let them learn to listen to all the sounds in the world. And no, but I’d be more than happy to come be a “tapper” at your house. Do they put on performances? Yes, every class. They are being very, very big, and very, very small. They are uninhibited screamers in a way I wish I could let loose. They are performing as kitties, puppies, spiders, hiders, dancers, and silent watchers. It’s all good, and no audience is required. How is my child *doing* in music class? Does your child hum to herself when she’s playing alone? Or stop and gawk every time he sees a live band out in the world? Or demand particular CDs on car rides? Then your kid is doing just fine in music class! Maybe nothing. Maybe everything. My hope is that I help them tap into this free, ever-available, endless reserve of joy. A lifelong love of music. 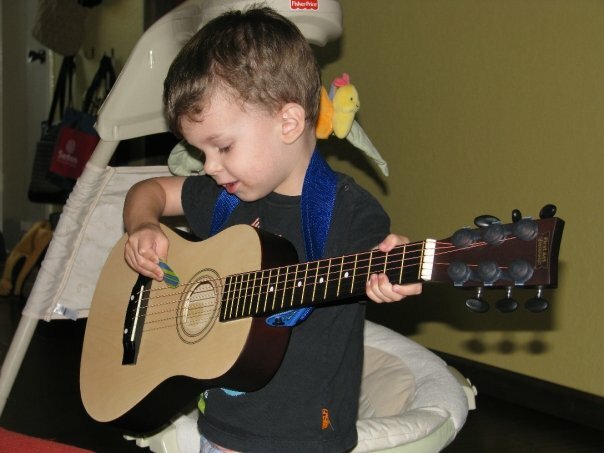 This entry was posted in Curriculum and tagged "tapper", austin texas, curriculum, finding neutral, genre, instructor, learning styles, lesson plan, lifelong love, Ms Kat's Music and Movement, music, music and movement, performance, preschool, theme-based. Bookmark the permalink.